The lithospheric structure of the Sinai Peninsula is shown by means of nine shear velocity profiles for depths ranging from zero to 50 km, determined from the Rayleigh wave analysis. The traces of 30 earthquakes, which occurred from 1992 to 1999 in and around the study area, have been used to obtain Rayleigh wave dispersion. These earthquakes were registered by a broadband station located in Egypt (KEG station). The dispersion curves were obtained for periods between 3 and 40 s, by digital filtering with a combination of MFT and TVF filtering techniques. After that, all seismic events were grouped in source zones to obtain a dispersion curve for each source-station path. These dispersion curves were inverted according to generalized inversion theory, to obtain shear wave velocity models for each source-station path, which is the main goal of this study. The shear velocity structure obtained for the Sinai Peninsula is shown through the shear velocity distributions with depth. These results agree well with the geology and other geophysical results, previously obtained from seismic and gravity data. The obtained velocity models suggest the existence of lateral and vertical heterogeneity. The shear velocity increases generally with depth for all paths analyzed in the study area. Nevertheless, in some paths a small low velocity channel in the upper or lower crust occurs. Along these profiles, it is found that the crustal structure of the Sinai Peninsula consists of three principal layers: upper crust with a sedimentary layer and lower crust. The upper crust has a sedimentary cover of 2 km thick with an average S-velocity of 2.53 km/s. This upper crust has a variable thickness ranging from 12 to 18 km, with S-wave velocity ranging from 3.24 to 3.69 km/s. The Moho discontinuity is located at a depth of 30 km, which is reflected by a sharp increase in the S-velocity values that jump from 3.70–4.12 to 4.33–4.61 km/s. 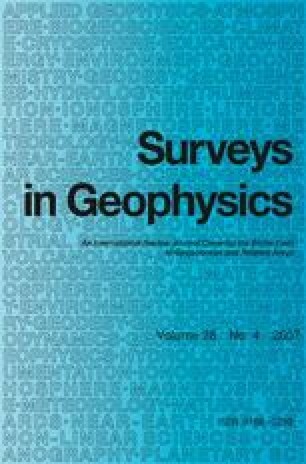 The authors are grateful to the Seismology Department staff (NRIAG, Helwan, Egypt) responsible for operating KEG broadband MedNET station, especially Mr. A. Meghad and Prof. M.M. Dessoky. Also, the authors are grateful to the technical support of the Instituto Nazionale di Geofisica of Rome (Italy). This research was partially supported by the Ministerio de Educación y Ciencia, Spain, Project BTE2003-00974 (financed with FEDER funds).